Dr. Clifford Gelman’s impressive biography includes being a Board-Certified, U.S. trained, former U.S. Air Force general surgeon. He graduated within the top ten percent of his medical school class at the Rush University College of Medicine in Chicago. During his tenure there, he was elected to the prestigious Alpha Omega Alpha Medical Honor Society and earned the Ramsey Outstanding Scholarship Award. 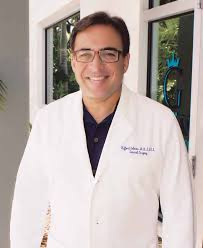 Dr. Gelman’s surgical expertise encompasses a wide range of surgical areas with extensive additional training and experience in hair restoration, hair transplantation and hair loss. Specializing in hair restoration, Dr. Gelman has had training with internationally renowned hair restoration surgeons. Dr. Gelman’s training has helped him to master all surgical and artistic aspects of hair transplantation. A dedicated medical practice focused solely on the latest hair restoration and transplant options for both men and women. From surgical intervention to medicines, Dr. Cliff Gelman and his staff are committed to helping patients get and keep a full head of their own hair. We provide hair transplant services in Brevard County in Melbourne.